Jun. 23, 2015, 10:57 a.m. When Philadelphia pops up on a tour stop — and for the big artists it usually does — roadies relish the opportunity. From the venues, the people and especially the food, the city has everything they want. Zinker and LaPointe have both been to Philadelphia countless times. With their input, Billy Penn presents the Roadies’ Guide to Philly. So yes, food is very important to roadies. And Philadelphia rarely disappoints them. Zinker: A lot of it is venue dependent. It’s arrive on the bus, load in, do what we have to do work-wise. Depending on the artist I’m working with that could be a couple hours or it could be all day until show time. You start to search out these places like Jose’s (Jose’s Tacos) that are close by. Like right up the block from TLA (Theatre of Living Arts) there’s a Copabanana. When I go to TLA I know I’m always going to go to Copabanana and eat something and be content. There’s a place called Phoebe’s, good BBQ on South Street. So much of it is out of our control. Sometimes we just tell whoever’s running the show and the production manager, just get us Pat’s and Geno’s for load-up food and we don’t complain. You look for the local speciality in the city you’re in. What’s the other place I’ve been fond of lately? Tony Luke’s, another staple. So much of it is time-dependent and I haven’t had that many days off in the city, per se. LaPointe: Late night food is usually when we go out and we always tend to hit Little Pete’s diner on 17th Street. I always seem to find myself there for something. Go to Tequilas for Mexican food at Locust and Pine. There used to be a diner closer to 18th and Ben Franklin. I don’t know if it’s still there. We used to hit a place called Oregon Steaks, like one of the best cheesesteaks. Back in the 80s we were there for so many days with Springsteen at the Spectrum. We would order like 20 cheesesteaks and they would look at us like we were nuts. We still do the Crossing in South Philly: Geno’s and Pat’s and flip a coin to choose. We’d spend a lot of time at South Street. It’s always been a great town for food and great for all of our audience. Philly is always somewhere in the schedule. Those banners are in the arena with Bruce shows and Billy shows. It proves it. Pretty much for all those shows in the last 30 years, I was there. LaPointe and Zinker have been just about everywhere they play live music in Philadelphia. LaPointe was even around for the days of the Spectrum. Later this summer, he’ll be back for a Billy Joel concert at Citizens Bank Park August 13. Zinker will return with Interpol to Festival Pier July 25. Zinker: The first venue I actually worked at in Philly was Upstairs at Nick’s. When was that, 1995? Upstairs at Nick’s was only around for so long. It went from there to Electric Factory to TLA to Union Transfer. I bounced around. I’ve been to a bunch of venues. The Unitarian Church back in the day. I’m trying to think where else. It seems like lately a lot of the shows have been at Union Transfer and kind of moving away from the Electric Factory. LaPointe: When we were there in 1984 for the “Born In The USA” tour I was driving a tractor trailer, and we were camped out at the Spectrum. We built a little compound and had BBQ grills out. Everyone would hang out. When the crew would come in to do the show, we had burgers flipping out there. I always remember those days. The Spectrum parking lot is one of the oldest memories I got. If you’re a Billy Joel fan, perhaps you’ve heard of LaPointe. 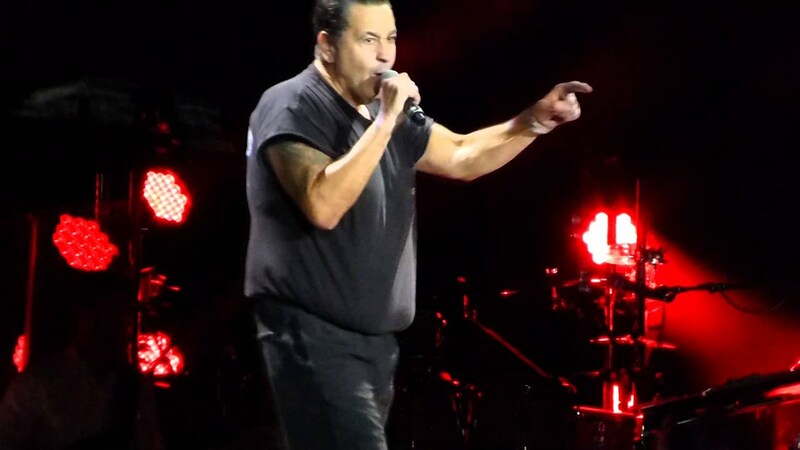 He regularly goes on stage to perform the AC/DC song “Highway to Hell” during Billy Joel concerts. He did it once at Citizens Bank Park. LaPointe: They let me do an AC/DC song in the middle of show which throws a good ole curveball at everybody. It’s kind of like an impromptu thing that Billy likes to do. Now we’ve been doing it so long they almost expect it. It started in Australia. Billy loves to do local band songs around the world. We were talking about INXS or Midnight and all this. Somebody yelled out, ‘What about AC/DC,’ and he says, ‘I can’t do it.’ And then a guitar player who’s been in the band for 25 years yells out, ‘Chainsaw can.’ It’s so fun. That way Billy can just walk around with a guitar for a few minutes. It’s kind of like a little break for him.